I got the idea for this post a few weeks ago, and since Earth Day is Monday, April 22nd this seemed like the perfect time to write it up. The recycling program where we live recently faced some changes and had to revert back to an older, less efficient system. This has made the topic of recycling come up more than usual lately and it’s really been making me think about our impact on the environment. As the poor couple, when we first moved in together most of our focus was on getting what we needed at a price we could afford. As we’ve gotten more established in our home it’s given us a chance to make some changes in what we buy – though price is still almost always first priority! So let’s take a look at what changes we’ve made over the past couple of years to help reduce our use of plastic in our home and how you can do it too! Summertime is the best, ya know? Unless you’re old and whine about the heat, there’s nothing to dislike about Summer. Beautiful weather, cool outdoors activities, great food and drinks, it’s a right-proper time of year. One of the most cherished, belovedly stereotypical drinks you might be thinking of, now that you’ve got this all on your mind, is good ol’ lemonade. Lemonade is the perfect balance between sour, sweet, cool, and refreshing. It’s simple to make, good for you, and it’s fun to joke around with your friends that it looks like you’re drinking pee. Though we usually review snacks here at PCFG, from time to time we’ll also review kitchen equipment. Unless otherwise noted, none of our product reviews are paid for. The only bonus we’ll get is if you decide to order something through our Amazon Associates link, and even then the amount we get isn’t worth lying over. Our reviews are simply to give our opinion on things we think our readers are interested in. Since the return of Smoothie Sunday is right around the corner, I decided to do a review of the blender I use to make my smoothies. When I first started making smoothies I was using a blender that I’m pretty sure was older than me because I think it was one of my parents’ wedding presents. Needless to say, a 20+ year old blender didn’t handle making smoothies that well. We got a new blender, but it was still the same style – with the motor on the bottom and the jar part that goes on top with the little blades in the bottom. It worked better at first, but soon I ran into similar problems. The ice would jam up the blades and smoothie making was just generally a hassle. It was time to try something new. Spices 101: What is Paprika? So, a common theme you see here on PCFG is that a lot of so-called “fancy” foods, aren’t actually all that fancy when you dissect them and figure out just what the hell they are. 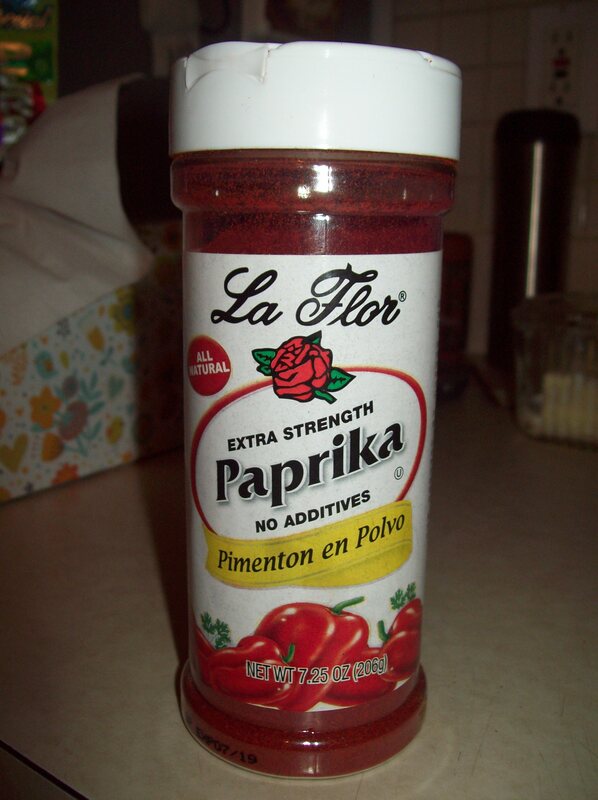 Paprika is a big, big offender of that notion, since it seems like half the population of Earth has heard of it, but doesn’t really know what it is. It’s just some sort of mysterious, fancy-pants seasoning that they sprinkle on your dish at the end of cooking, and it probably costs a billion dollars. Fortunately, most of that is false (though it is frequently sprinkled onto plates as a garnish). A couple months back, we went over the qualities and a general overview of the tiny, hard berries of the peppercorn bush, also known as just “pepper”. As a quick refresher, you can typically use it ground, cracked, or whole. Grinding it is easy enough since pretty much everyone owns a pepper mill of some sort, or you can buy it pre-ground. Using it whole may be pretty intense if you don’t like the flavor, but it’s a welcome addition to many dishes. What about cracking it though? 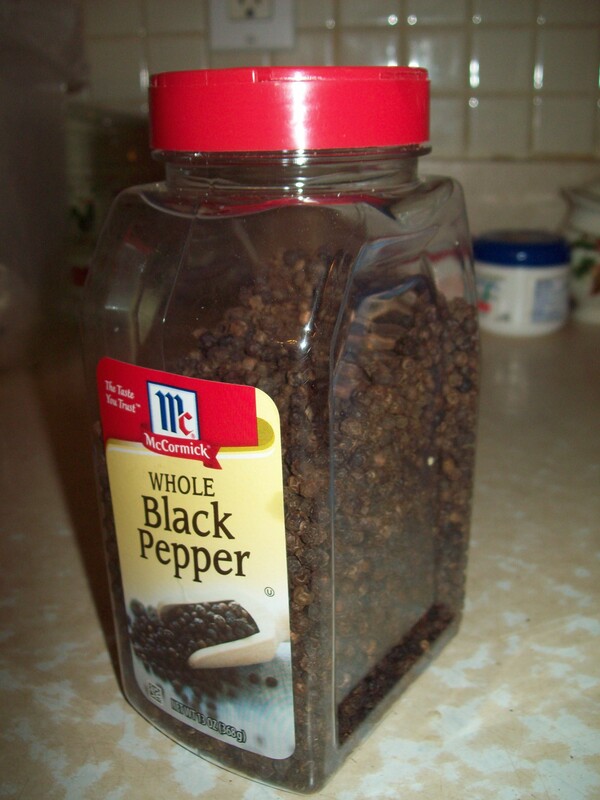 Do you need some sort of fancy, complicated device, or have to spend big bucks to get something as fancy-sounding as “cracked black pepper”?! Nah, you just need a glass or a bowl.